You must have heard the term “Elephantitis”? It is a dreaded condition that affects many people across the world and was often regarded as a curse in olden days. Read on to know more about this disease. Ever seen a man with a huge, swollen up scrotum? That is a case of Elephantitis of the balls. 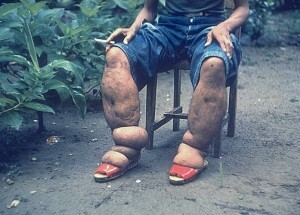 The condition is actually called “Elephantiasis” which is commonly misspelt as “Elephantitis”. The disease affects approximately 120 million people across the world and is more prevalent in tropical and sub-tropical regions. The disorder affects various parts of the body like head, trunk and breast. Arms, legs and groin are, however, the main body regions that it affects. 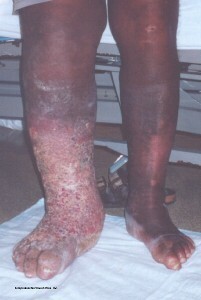 Elephantitis is mainly of two types, “Lymphatic Filariasis” and “Non-Filarial Elephantitis”. This terrible disease can disfigure and disable a person for life. Elephantitis is characterized by a number of symptoms which often make the diagnosis of the condition more difficult. This is because many of the symptoms of Elephantitis are similar to those exhibited by patients suffering from similar diseases. Many of the Elephantitis symptoms are not so visible in the early stages but become more prominent in a patient with advancing years. This is the most visible symptom of Elephantitis. When a person suffers from this condition, there is severe swelling in the affected area. In most patients, there is a huge swelling in the lower body parts such as the legs or the groin. 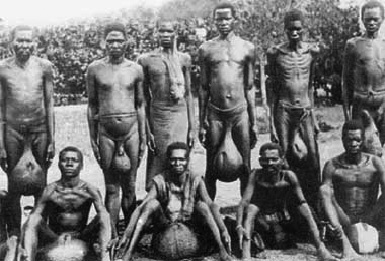 Testicular Elephantitis, also informally known as “Elephantitis of the nuts” or “Elephantitis in the balls” is the worst a person suffering from the condition has to endure. The person also suffers from swollen lymph nodes. Most sufferers experience acute pain in the affected body part. This happens due to the natural reaction of the body to the allergens. The patients may sweat more than usual which can lead to much discomfort. In many cases, the person also suffers from headaches. This is also caused by allergic reaction of the body. The affected person often suffers from increased body temperature which is accompanied by sweating. The person may also suffer from chills in the hands and feet which may cause him to shake. The person may also throw up from time to time which is again, produced by allergic reaction of the body. Ulcers may also be seen on the skin of the suffering person. The person may also suffer from a pain in the joints. In many cases, red colored streaks or rashes may also appear in the arms and legs of the person. The person may also suffer from tiredness which affects his daily functions. In many sufferers, abscesses are formed in the lymph nodes. Inflammation of the balls is a highly feared symptom of Elephantitis. A testicular inflammation is dreaded very much because of the social boycott the patient has to suffer in such cases. In such cases, the patient cannot cover his scrotum as it becomes at least as big as the size of a watermelon or basketball. Elephantitis is caused mainly due to two factors. A major cause of the disease is mosquito infection. This happens when either of three microscopic parasitic worms like B. timori, Brugia Malayi or Wuchereria bancrofti infects the lymphatic system. All these worms are transmitted from one person to another by female mosquitoes. When a mosquito carrying a filarial worm bites a person, the worm travels to his lymph nodes and starts breeding. With time, the worms become more developed and causes swelling in the lymphatic vessels. An entire affected limb suffers an inflammation due to this and becomes two or three times huge than its original size. The swelling becomes externally visible and difficult to keep covered. 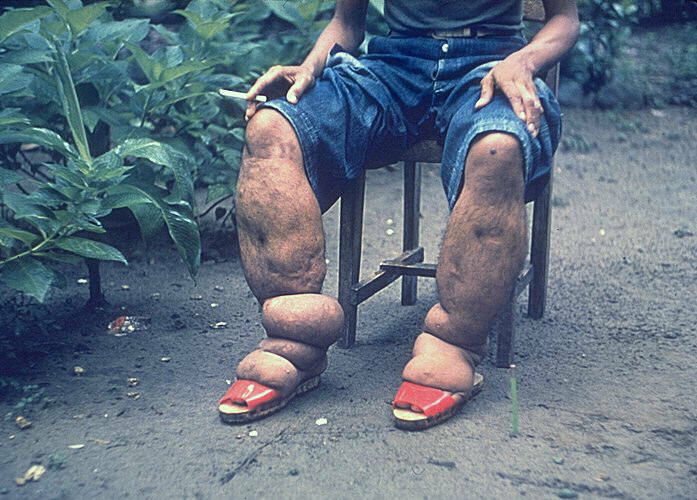 This condition is known as Lymphatic Filariasis. It is one of the forms of Elephantitis. Lymphatic infection due to chemicals is another reason behind the disorder. The condition mainly affects people living in Africa and tropical regions, particularly those travelling in bare feet. The soil in these regions is rich in minerals like sodium and potassium. The chemicals come in contact with the bare skin under the feet and move upwards to the lymphatic vessels, blocking them and causing an infection. The resulting condition is known as Non-Filarial Elephantitis. In this method, a sample of the patient is taken and watched under a microscope to check whether it contains microfilariae. A biopsy of the lymph node is carried out to determine the cause of the infection. It is not a very foolproof method of diagnosing the condition. The symptoms of Elephantitis are usually visible much later. 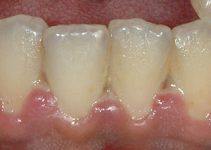 Consequently, the diagnosis of this condition is usually done much later which makes its treatment very difficult. This is what makes Elephantitis a dreaded disease. Antibiotics are used if the person suffers from an infection. A single antibiotic course can be quite effective in curing the condition. Doctors normally administer the antibiotic Doxycycline for 8 weeks to reduce the worms in the affected person. However, the method only offers temporary relief from the condition and the worm activities recur after about a year. This antibiotic course is not used on pregnant women and children aged less than 8 years. Antifilarial drugs are used to counter parasites affecting the sufferer. The medication is however, mainly effective against worms which have not attained adulthood yet. In Africa areas, drugs like Albendazole are administered with Ivermectin which gives successful results. A surgical operation is usually done in very severe cases and this is mainly useful for limbs. There is no effective cure for Elephantitis and research is on to bring out a powerful vaccine against the disease. As the treatment of Elephantitis is difficult and less-effective, it makes better sense to prevent its outbreak in the first place. These preventive measures are known to be quite effectual in keeping this disease at bay. Putting on shoes is obviously, the most useful measure against guarding the body from Non-Filarial Elephantitis. It safeguards the skin of the feet from the chemicals of the soil and prevents Lymphatic Infection. Cleaning hands and feet with water and antiseptic soap can protect the skin from parasitic infection. Applying ointment on the hands and feet can also act as a protection. Using mosquito nets and repellents are very necessary for protection against the disease. Clearing stagnant water from ditches around the house can also prevent the breeding of mosquitoes. Wearing elastic bandages has also been found to be effective in some cases. Many people have difficulties understanding how Elephantitis looks like? Here are some assistive pictures of Elephantitis that will help you know better about the condition. Go through these Elephantitis images and check out how the disease appears to be in affected persons. Elephantitis is a serious disease and if not timely treated, it may lead to severe complications ending in a surgery. In most cases, the abnormal symptoms caused by the condition also make the patient face social boycott leading to much psychological turmoil. If you know a person with early symptoms of Elephantitis, get immediate medical attention.